The following procedure applies to both of the headlights. a. 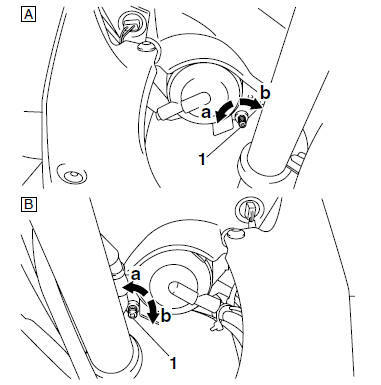 Turn the adjusting screw "1" in direction "a" or "b".